Soak the cashews for about 4 to 6 hours prior to blending. After that, add the cashews and the rest of the ingredients into your high powered blender. The mixture is really thick, so you will need a strong blender like a Vitamix or Blendtec for this one. And that’s it! You are done folks! 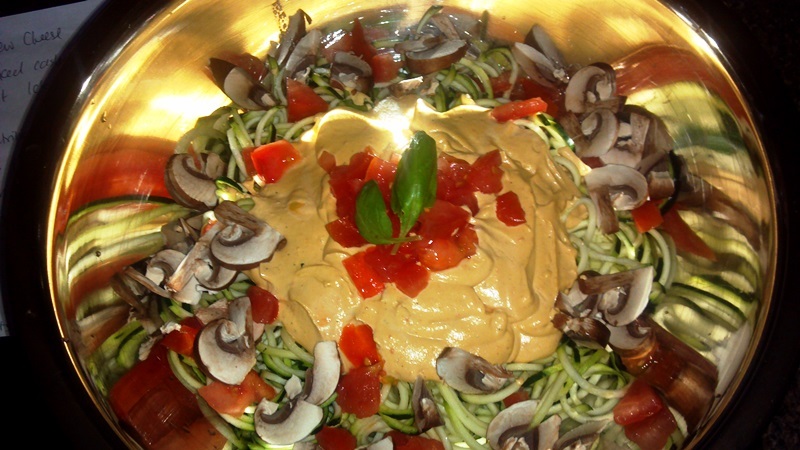 You have just prepared one large, healthy, raw vegan feast for yourself! This is a one serving dish, so you can eat it all, guilt free! What other pasta dish allows you to do that?? Go ahead and take a bite! This dish was so rich and wonderful and filling, I couldn’t even eat it all in one sitting! I couldn’t stop staring at it either, it’s so perfect looking! All raw, living, fresh, healthy foods! No cooking, no mess, no fuss. Simply gorg! But that’s enough ranting and raving from me. Now it’s your turn to try! And I am definitely going to go make som more for myself now as well! 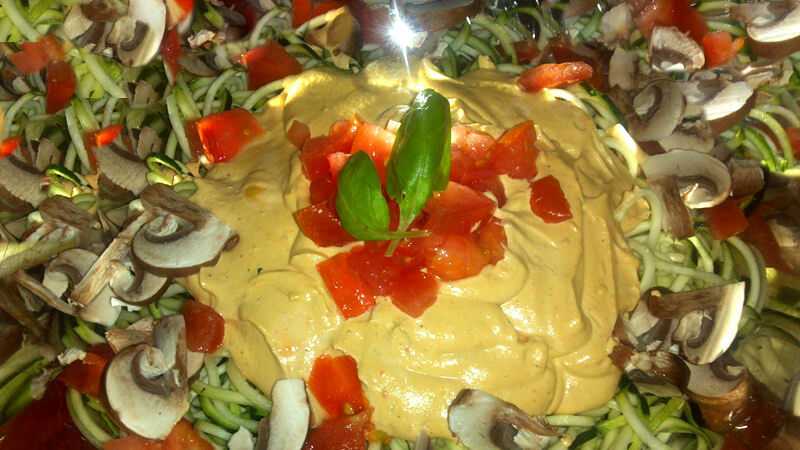 If you want more cashew cheese sauce recipes, check out my cashew cream/sauces section under RAWmarkable Vegan Snacks!